We are proud to announce that Roddy Constructions has been named the winner of this year’s 2017 HIA Hunter Housing Awards in the category “Renovation/Extension”. The Winner was announced on October 22nd at the annual HIA Awards evening held in Newcastle. Our clients Philip & Robyn, approached us with a unique project – to transform their run down, conservative 1950 built home into a contemporary, environmentally sustainable home to retire in. 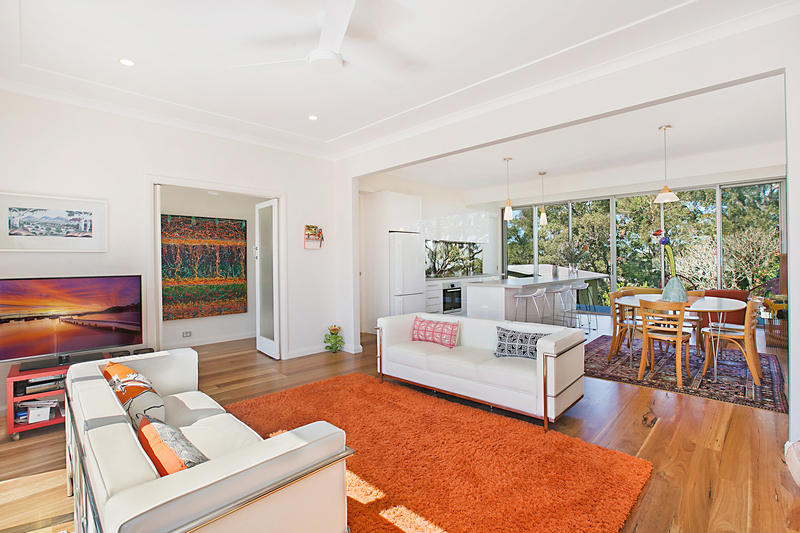 Philip, an architect, designed the home to take advantage of the site’s orientation and capture the beautiful Glenrock Reserve the home overlooks to the rear and to the side. An innovative, cutting edge design that complimented restored period features in the home while generating enough energy from the sun to be completely “off grid” was their ultimate goal. • 6.24KW of Solax Inverter solar panels and a 6.4KW LG storage battery. • An open ended 11m long, cambered grade 316 Stainless Steel box gutter with detached rainheads at either end. • Restored 1950 era rounded porch awning, plaster fireplace, wrought iron balustrade and saloon style foyer doors. • A printed digital image of the Angophra Eucalypt tree in the neighbouring Reserve behind the kitchens glass splash back. • Recycled glass wall and ceiling insulation.